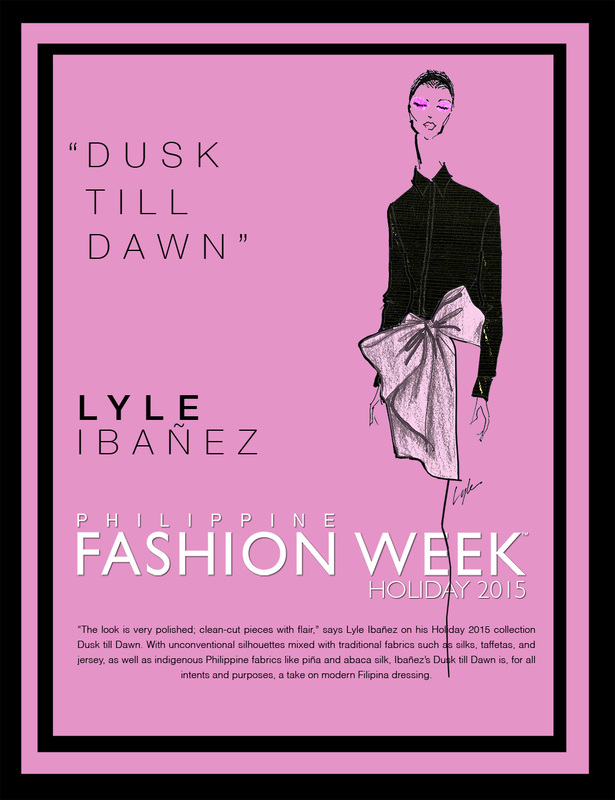 “The look is very polished; clean-cut pieces with flair,” says Lyle Ibañez on his Holiday 2015 collection Dusk till Dawn. With unconventional silhouettes mixed with traditional fabrics such as silks, taffetas, and jersey, as well as indigenous Philippine fabrics like piña and abaca silk, Ibañez’s Dusk till Dawn is, for all intents and purposes, a take on modern Filipina dressing. "Simplicity is elegance and this collection shows that a woman needs no more accessories but her true self."